Go right from your desk straight into dinner, thanks to a removable overlay top that nails the whole quick-change thing. Made in NYC. Empire waist dress with ruched skirt to accommodate growing and shrinking belly. Over-layer features V-neck and sloped hemline. Can be worn together or separately. 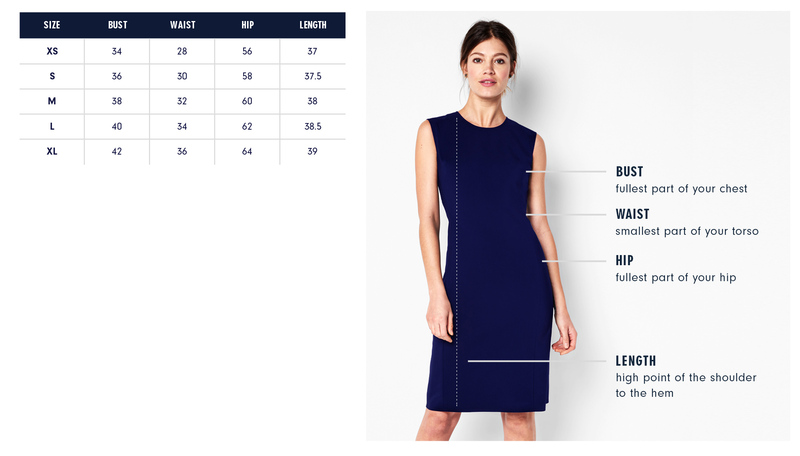 Exact measurements of the Quincy Dress below. All measurements are in inches.For general brand fit, sizing, and measurements, please visit our Brand Fit & Size Guide. Care: Machine wash cold and line dry. Do not bleach or tumble dry. Cool iron if needed. Dry clean. I designed the two pieces of this dress to work paired together or separately. The dress on it's own is fantastic for a night out and the over-layer can stand on it's own as a crop top!